I have learned to see life as a dance. We have a God who knows how to dance and who leads us, as we dance to the music of his Heart. I find God not just in dancing as an analogy for life. To be more specific, I find him as I dance salsa. Salsa-dancing is a very important part of my Latin American culture. Despite its basic steps, salsa-dancing is a creative and wonderful form of self-expression. The way one turns and moves is all about how one interprets the rhythm of the music. My whole being – mind, body and soul – is engaged when I dance salsa. My relationship to salsa-dancing has never been simple. For a while I avoided it because many friends and others close to me thought salsa-dancing is not the sort of thing a man pursuing a religious vocation ought to do. Some good advice I received a while ago changed that. A few years ago, I was struggling with the vows (chastity, poverty and obedience). I specially struggled with chastity because I was bending over backwards to find deep and creative ways to fulfill my emotional needs in a healthy way. As an extrovert who is used to close contact with family and friends, I knew my prayer and communal lives needed to be complemented by other elements that engaged my mind, body, and soul. My commitment to live celibate chastity consecrates my life for the kingdom of God and makes me available to serve and to love all people. But in order to do this, I need to have a healthy emotional life. I was struggling with that. My spiritual director recommended I should re-evaluate my fitness lifestyle, and also find activities that satisfied my need for creativity and recreation. My spiritual director was very wise in pointing to our human need for creation and recreation. And I was specially grateful he spoke about recreation and not entertainment. That insight led me to a greater understanding about the vows, about myself and about happiness. As I pointed out in a previous blog entry, happiness and pleasure are not the same thing. True happiness is about progress, about growth. Happiness is about growing in all areas of our lives. That insight helped me reconcile many aspects of my life. It helped me to see that in order to be happy, I need to do more of the things that make me happy. To me, that means being with the people I care for and who make me smile. It means I need to laugh as much as I can and do things that are good for my mind, my body and my soul. Salsa-dancing is quite a work out. But most importantly, it is a time to be with friends, to rid myself of stress and to smile. As a Jesuit, I have learned that we need to care for the whole person – care for mind, body and soul. We live abundantly when we care for our whole being. In order to live wholesome lives, we need to work, to pray, to love, to serve, and to learn. At times, we simply need to be. In order to live healthy psychological and emotional lives, we need to satisfy our need for creation and recreation. In sharing about my love for salsa-dancing, I am not advocating that everyone needs to dance. But I am asking everyone to reflect about the best ways to create and to recreate. For many, pro-creation and raising of children will help fulfill that need. Nonetheless, we all have a need to create things, to fashion things with our hands. We need hobbies that allow us to use our hands, to engage our bodies. We all need pastimes, activities that can be conducive to recreation and even prayer. It can be something like gardening, canoeing, photography or acting. When we are in the midst of doing something that we really enjoy, our hearts are raised in gratitude to God. These activities become into wonderful opportunities to release stress, smile, socialize and find God. 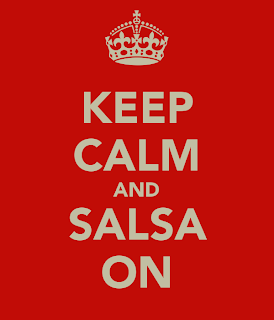 When I first learned salsa, I was a bit of a slave to the rhythm. With time, I have learned to follow the music, to celebrate my culture, to enjoy the company of friends. I find God in those interactions. As I realize that my experience of salsa-dancing is somewhat similar to my relationship with God, I also begin to find God as the dance leads me to greater reflection. I was at first a slave to the external movements; I could not truly celebrate the music. With time, I started to discover the beauty and grace of my encounter with the music of life, and the Divine Musician. I find God in the beat of the music, in the way salsa engages my creativity and imagination. I find God as I pay attention to my passion and enthusiasm. 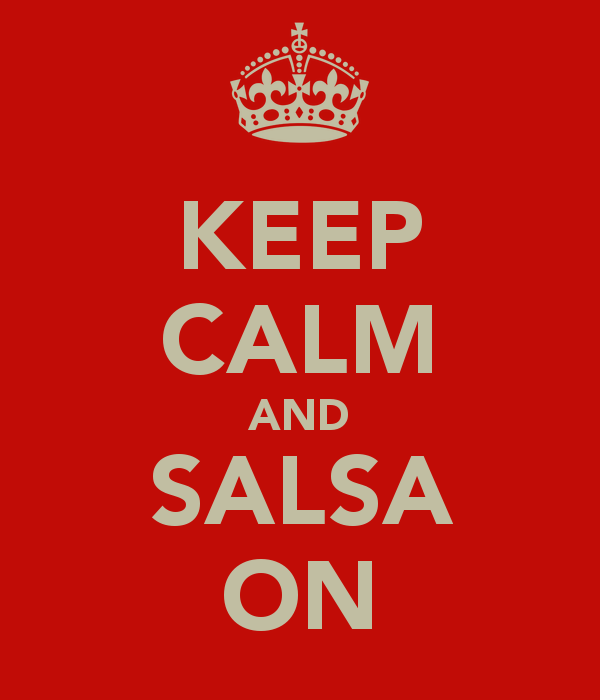 When I dance salsa, I am always reminded of the Source of all music, and I thank Him.